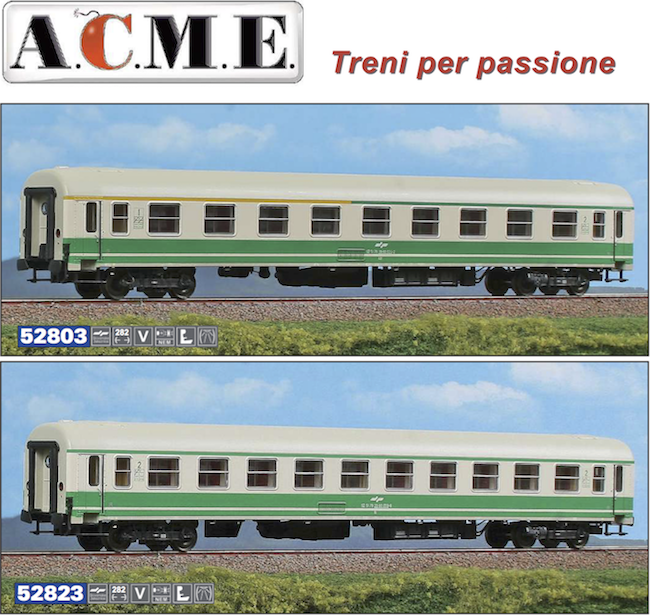 The well known model railways manufacturer ACME announced release of two passenger cars type GOŠA UIC-Y in H0 scale. The cars are painted in a livery that appeared in 1991/92 and was in use until 2005. The cars are painted in white with grey skirt and two green stripes. These cars were in use for domestic and also international trains. The estimated release is late december 2017-january 2018 and price is 62,60 EUR each but in a preorder action valid until December 17th, 2017 the price is a bit lower. You can preorder these cars using the web form on this website.